Rebecca Burtram, has played an invaluable role of taking my writings from being personal journal entries to catapulting me into the writing world. We share the same passion for God, family, ministry, and words. Her authenticity is inspirational and it is my honor to feature her! After you read her post, make sure you check out her blog! When our foster son arrived, we told him he has an extra family now. We aren’t a replacement, just an addition. In the short window he has been with us so far, he has asked me, “Isn’t that expensive?” at least ten different times when I have suggested purchasing items he needs. To which I have consistently responded that as one of our children, we are going to meet all his needs and we will, like we do with our other kids, discuss wants. He has become so accustomed to thinking he has to do everything for himself that his relief is mixed with doubt. Despite the fact that I had an amazing upbringing, I see myself in him. I see it not in my relationship with my parents, but in how I relate to God. God has made me his child, and I have simultaneously felt both relief in the knowledge that he will meet all my needs and doubt that it could be true. At times, I have allowed my broken theology of what “all things work together for the good of those who love him” really meant to cause me to doubt God’s presence when circumstances were painful or uncomfortable and confused wants with needs. I’ve given guilt the power to keep me from living in the freedom I was meant to embrace, and insecurity has led me to wonder if I was really worthy of all that comes with accepting my place as a child of God. And although God has helped me to see how he has never failed me and given me freedom from guilt and shame, I still have a tendency to live as though I have to figure everything out on my own. I forget that I can rely on God for everything, and I try to do many aspects of life without him. However, relief comes in surrender. When I accept what it means to be God’s child, I stop stressing about the future and live trusting God to meet my every need. I find rest. I may not have my every want, but I do know that God has paid the expense to give me all I need. Rebecca is a lover of God, a wife, a mother to three by birth and several others by blessing, an inconsistent runner, a chai tea drinker, and a recovering perfectionist. She has found great joy in owning her flaws and learning to rely on God and his great grace. 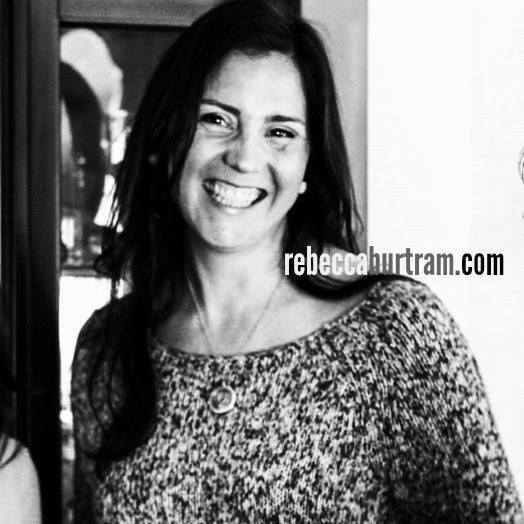 Rebecca is the author of Our Broken Hallelujahs. You can also read more from her at rebeccaburtram.com, The River Walk, PENews, Influence Magazine, and CMN Women.